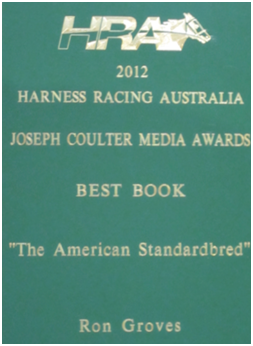 This is part of a revised edition of the 2009 Coulter Award winning ebook The American Standardbred. Once again, its purpose is not to produce a history of harness racing with accounts of the colorful owners, drivers and breeders who have contributed to the sport. These stories have already been well told elsewhere. Rather, the aim here is to provide an analytical history of the rise and demise of those sire lines and maternal families that created our Australian and New Zealand champions. 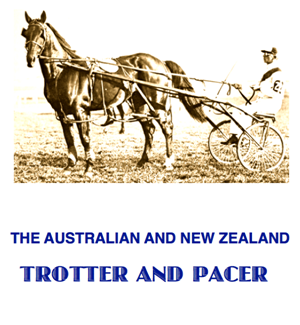 The evolution of the standardbred and the sire lines involved originated in America and are told in the updated and revised companion edition The American Trotter and Pacer. These five chapters look at developments that occurred in Australasia from colonial days to 2014. The first chapter outlines the terminology used while the second provides a brief history and analysis of the development of sire lines in Australasia. The third chapter moves to the bottom half of the pedigree, with the evolution of our maternal families. Finally, chapters four and five take a closer look at the pedigrees behind our champion performers, beginning with our first champion Sir William Don (1864) through to our current champions such as Terror To Love and Im Themightyquinn. Of course, it is all but impossible to compare champions from different eras that did not compete directly against each other. How could we confidently predict how current Miracle Mile winner Beautide would have fared in a match race against Pure Steel or Auckland Reactor. Or how Blacks A Fake would have matched a champion of fifty years ago such as Cardigan Bay? The figures are here for you to make up your own minds. I hope you enjoy using them to arrive at your own decisions and discuss them with friends.